the exchange meanwhile provides Open Set participants with additional opportunities for hands-on research, giving more concrete form to their international, professional ambitions. 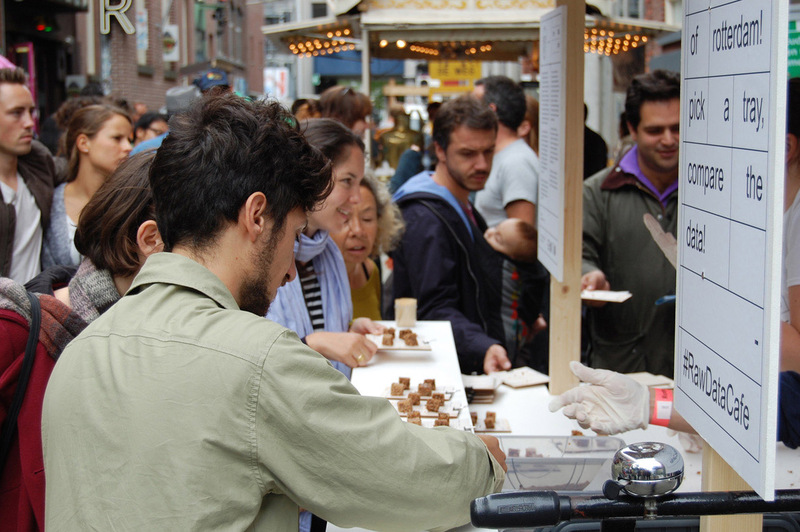 For two years Open Set participated in the Kunst in het Witte de With Kwartier Festival, which gathered 35.000 visitors in 2015. To present Open Set and reflect its theme Designing Experience at the 2015 Festival, we extended an invitation to designer Giacomo Boffo (an alumni of Open Set 2014). 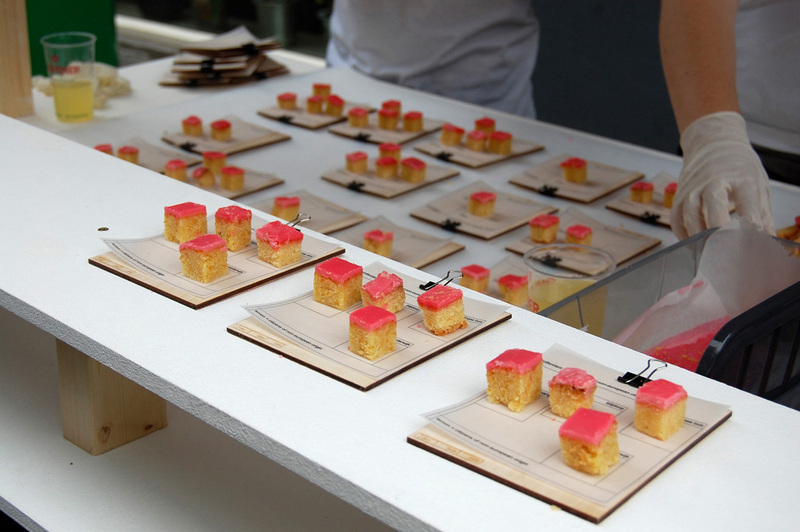 His project titled Raw Data Cafe explores the possibility of presenting raw statistical data through food. 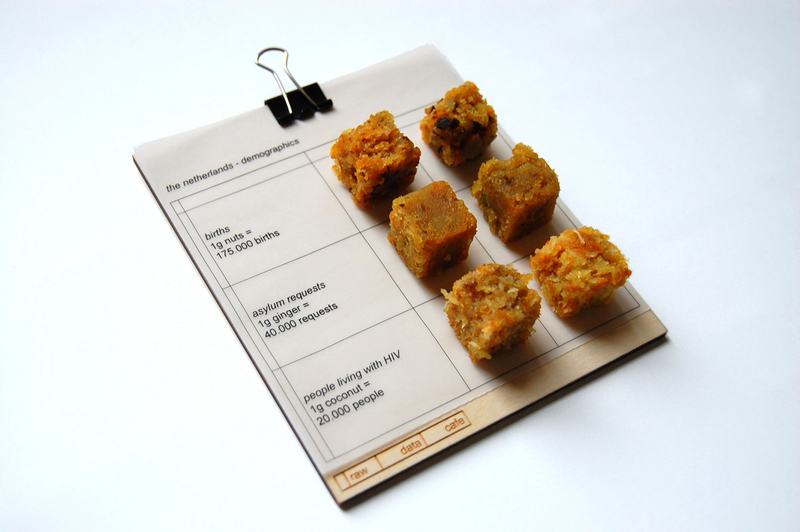 Disrespecting all cultural and traditional values associated with nutrition, the project focuses on the gustatory aspect to deliver straightforward statistical information. 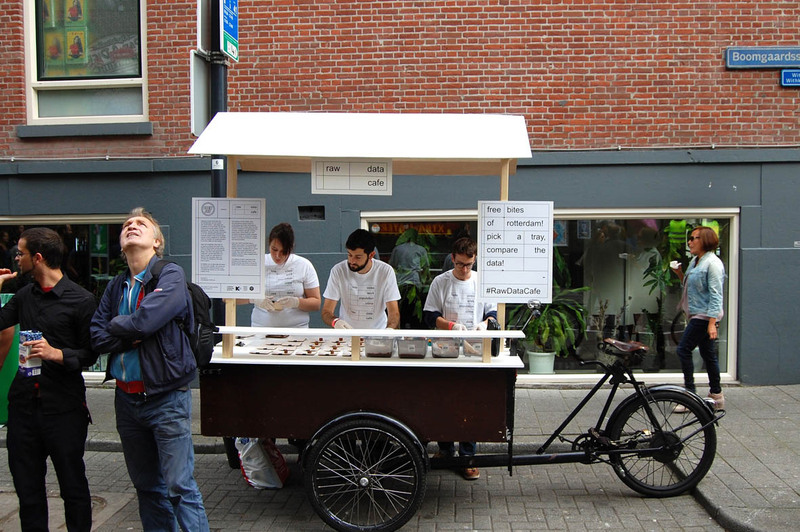 Raw Data Cafe has appeared since then in design, art and food events in Amsterdam, Rotterdam, Schiedam and Eindhoven. It has illustrated, depending on the context, sensitive urban, social and economic data regarding the Netherlands and Europe. 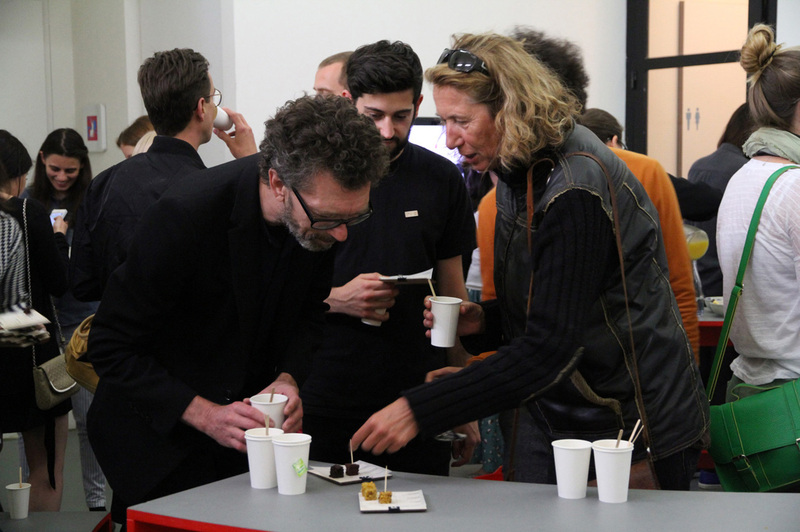 Within the participation of Open Set at the Kunst in het Witte de With Kwartier Festival, we commissioned a group of our participants to develop a project that addressed the 2013 Open Set theme Social Game. 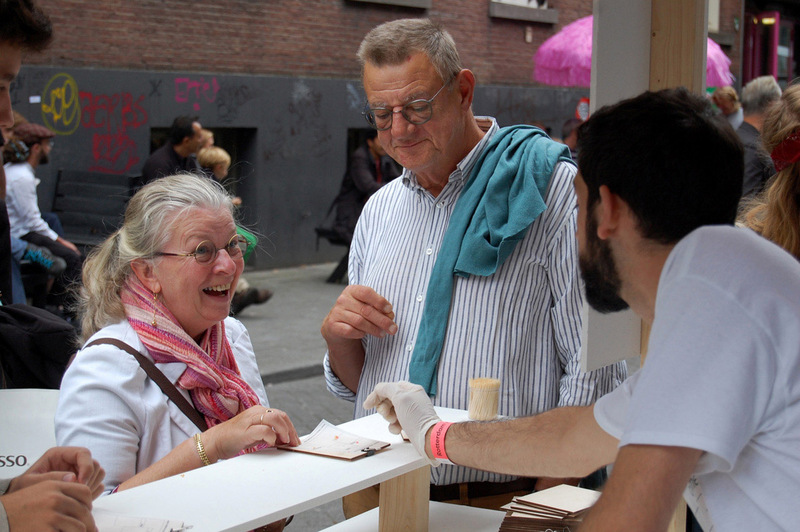 The result was Wecup — an interactive, provocative set of installations, that engaged people to take a public stand on urban, social and cultural issues, while effectively contributing to keeping the surroundings clean. The public was invited to vote by adding their empty plastic cups to one of the several tube installations around the area, choosing in each case between two conflicting statements.